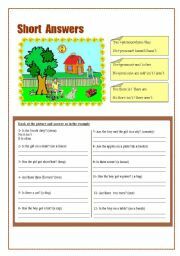 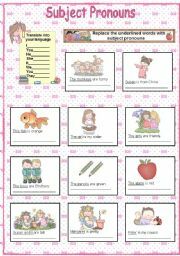 Elementary worksheet to practise the subject pronouns. 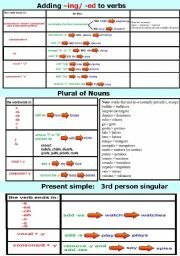 Spelling rules to add "-ing" "-ed" to verbs and to form the plural of nouns and the third person singular of the present simple. 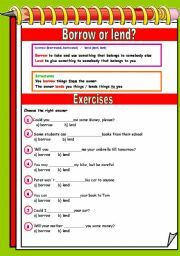 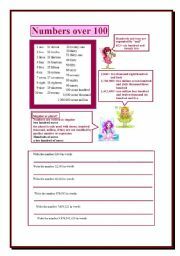 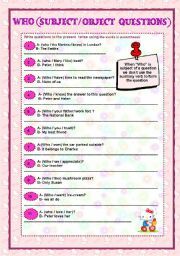 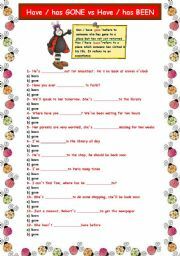 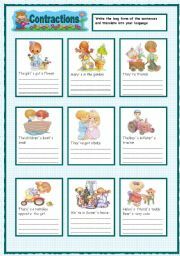 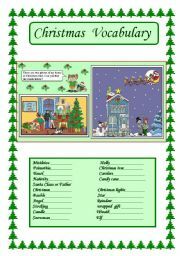 This is an elementary worksheet to practise short answers with the verbs to be, have got and there is.